Izzi Tooinsky is the internationally renown, locally loved, vaudevillian entertainer who has been performing at fairs, festivals, schools, and museums for over thirty years. 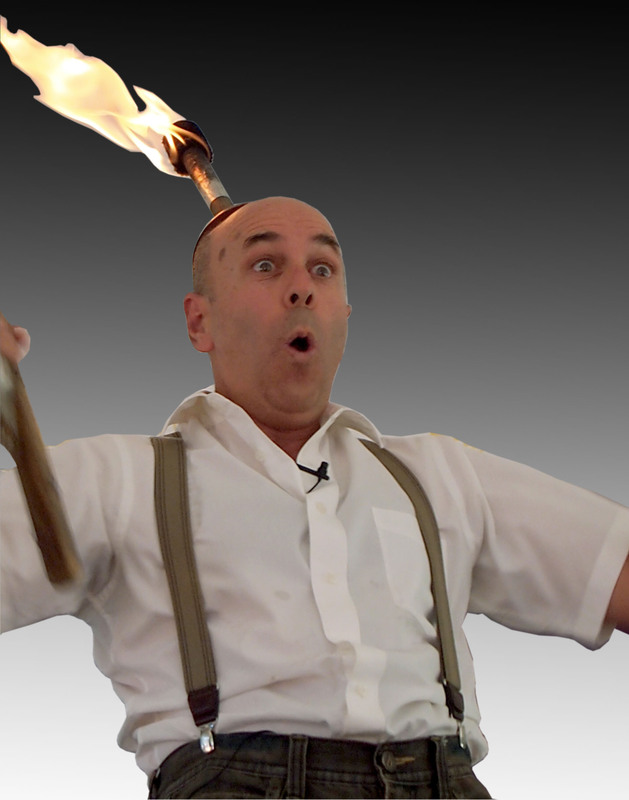 Equal parts juggler, clown, comedian, storyteller, and educator, he is the author of two books, creator of seven storytelling CD’s and now the mastermind and producer of Kids Cabaret, a variety show featuring young local performers. Kids Cabaret is a wonderful variety of music and theater performed by some of the most inspired young entertainers living in Nevada County. From ages six to seventeen, many of the performers are already seasoned musicians, dancers and jugglers, while others are bringing their skill to the stage for the first time. “It is a magical experience to watch a young person step out on a stage for the very first time and show an audience what they love or are passionate about,” says Tooinsky. Over the years, Tooinsky has performed for thousands of local Nevada County students at hundreds of school assemblies. In that time he has seen first hand how the performing arts can help instill self- confidence, commitment, community awareness and responsibility; values important to helping students build their character. Tooinsky promises Kids Cabaret is not a show just for kids. The afternoon is a fun, lively, fast paced variety show suitable for people of all ages.